Unlike most of the shipping companies Sea Link Shipping knows how to find fast and innovative solutions. This is our strength. Let our experienced staff to help you and offer you our expert assistance. 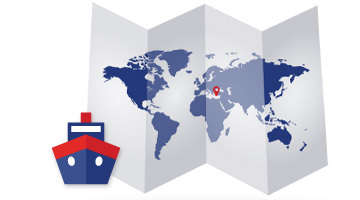 Whether you need an advice on a customs procedure or help regarding the best conditions for delivery in your deal, we have the answers. We have very extensive experience in customs clearance, port freight forwarding and cargo handling operations. Over the years we have processed a lot of different types of cargo, such as metals, scrap, sugar, timber, ores and concentrates, coal, frozen goods and others. Our annual cargo turnover is more than 300,000 tons. Since the beginning of 2004 Sea Link Shipping is a freight forwarder of Stomana Industry SA, Pernik and since 2007 we are acting as fright forwarder of the bigges metals trading company in Bulgaria — Hus Ltd, Plovdiv. For this period the company has proved itself as a reliable partner and excellent contractor meeting the transport needs of its customers and providing accurate and high-quality handling of their cargo in the port of Burgas. We have specialized in the handling of frozen goods in reefer containers. For the period 2006 - 2015, we have processed over 1,500 reefer containers with frozen meat, fish and other goods.